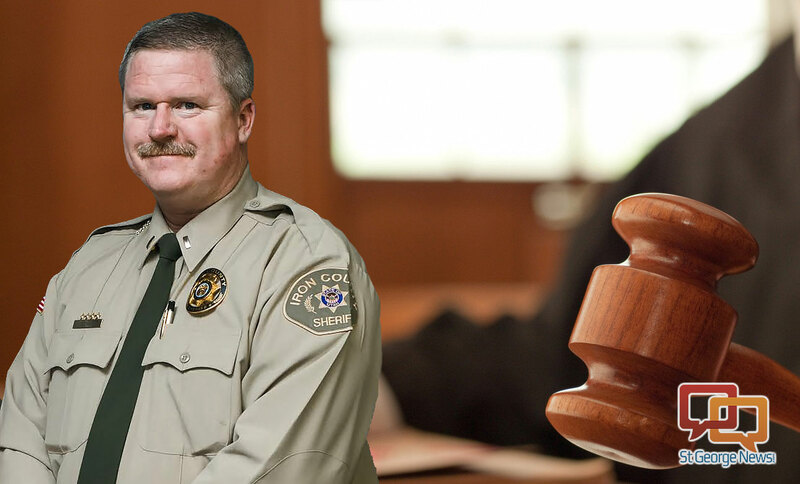 CEDAR CITY – State authorities have launched an investigation in Iron County after allegations of possible wrongdoing surfaced, claiming officials tried to access email accounts belonging to the elected sheriff and his lieutenants. The state Attorney General’s Office is investigating allegations that in July 2015 one or more county commissioners directed County Information Technology Director Jared Wilson to give them access to email accounts belonging to Iron County Sheriff Mark Gower and Lt. Del Schlosser. At the time in question, Commissioners Dale Brinkerhoff and Alma Adams and former Commissioner Dave Miller were allegedly acting under the authority and approval of the County Attorney’s Office. Officials requested Wilson retrieve all archived emails from the server and provide them with the additional ability to access the email accounts at any time. This was in order to be able to see new conversations, Gower and his attorney Scott Burns said. State investigators are also looking into additional allegations concerning requests reportedly made at the same time for archived emails of former Sheriff’s Lts. Jody Edwards and Rick Evans. The requested emails would have been written when the men worked at the Sheriff’s Office. By this point, Edwards had been terminated for two months and Evans had been retired since 2014. Wilson did fulfill the requests for the emails belonging to Edwards and Evans but it is uncertain whether the commissioners were ever given access to the sheriff’s and Schlosser’s email accounts. The IT director denies ever fulfilling such requests, Gower said. The alleged directive by the county commissioners for access to all the email accounts was made during an intense legal battle initiated by Edwards against the county for wrongful termination. The sheriff was involved in those proceedings on behalf of Edwards, his former employee. His emails at the time were largely comprised of confidential communications between himself and Burns, who was also representing Edwards at the time. The commission had terminated Edwards’ employment with the Sheriff’s Office in March 2015 following the sale and dissolution of the county’s ambulance service. Edwards had served as lieutenant over the ambulance service for the previous 2.5 years. After the commission terminated him, Edwards filed a complaint with the Iron County Career Service Council seeking reinstatement with full back pay and benefits. During a full-day trial before the Career Service Council, Burns argued that the commissioners did not have the right to terminate his client. That responsibility rested with the sheriff, he said. Burns maintained the commissioners’ actions were in retaliation for his client publicly speaking out against the sale and privatization of the ambulance service. Edwards prevailed in the action before the service council and the council ordered the commission reinstate him with full back pay and benefits. The county attorney then appealed the council’s ruling to 5th District Court. The commissioners later dismissed the appeal after the judge made preliminary rulings in Edwards’ favor. The former lieutenant received full back pay and benefits for the six months he was unemployed. He was also reinstated as a full-time deputy with the Sheriff’s Office at the same salary he made prior to being terminated. Look at the timing on this whole thing. They requested access two days after we had the first hearing from the Career Service Council and they lost. My allegations are that they attempted unlawfully to enter into my email account to see what I was doing, what my correspondence was between myself and my attorney over the unlawful termination of Jody Edwards. They wanted to see exactly what we had planned, what we were doing, what we were talking about so they could provide countermeasures to what we were doing at the appeal hearing – that’s the nuts and bolts of the whole thing. I’m not against anyone looking at my email but in this circumstance it’s unethical. It’s corruption. It is. Burns agrees that the alleged attempt by county officials to retrieve the emails was done, at least in part, to intercept confidential information between him and his clients – an idea that makes him shudder to think about, he said. While he knows there may be some who don’t support his decision to turn the information over to the attorney general, Gower said, he believes in holding elected officials accountable for their actions. “It’s wrong. At the least, it was unethical and I’m against this behind-the-door wink and a handshake crap that goes on in government,” the sheriff said. “I’m tired of it. I don’t like it and it shouldn’t be that way. Elected officials should not be operating like this, at all. This should not be the norm for elected officials to go around thinking they can get into other people’s emails and elected officials’ emails, especially without a valid reason and, in this case, no reason. There’s nothing valid about this. If the allegations are supported by evidence, the tenets determining whether to prosecute may be different regarding the alleged access to Evans and Edwards’ emails than it is with Gower and Schlosser’s emails accounts. With Evans and Edwards being former employees of Iron County, the commissioners may have had the right to access their emails since it could be presumed they no longer had any vested interest in them. If any of Edwards’ emails, however, were conversations between he and Burns then it may not be so simple. Questions surrounding emails between government officials and their attorneys have recently been called into question in the case of former state Attorney General John Swallow. Swallow is charged with 11 felonies and two misdemeanors, including racketeering, bribery, evidence tampering, misuse of public money and falsifying government records. He has pleaded not guilty to the charges. Swallow’s attorneys want the issue of confidential attorney-client emails taken before the Utah Supreme Court. In a recent petition filed Thursday in the Utah Court of Appeals, Swallow’s new attorney, Linda M. Jones, requested the petition be moved up to the Supreme Court to decide whether prosecutors in the criminal case violated her client’s rights when they accessed emails between him and his former lawyer. There are no Utah cases that address the consequences when the prosecution intrudes into the defendant’s attorney-client relationship, and the cases from other jurisdictions have taken a number of different approaches to resolve the important questions. A decision on this issue by the Supreme Court in the near future, while unlikely, could affect what happens in Iron County’s investigation in regards to Edwards. Different rules apply, however, when it comes to determining prosecution in the alleged access of Gower and Schlosser’s emails since Gower is an elected official and Schlosser is still employed with the Sheriff’s Office. Since there was no criminal investigation of either Gower or Schlosser and as such, no warrant, Burns said if the commissioners wanted access to Schlosser’s emails they first needed Gower’s approval. There is also a county policy that outlines when and how employee emails can be accessed including a written request to the IT department. In addition, there must be a suspicion the employee has violated policies or broken the law, Gower said. The sheriff however, as an elected official is not considered a county employee, Burns said, and therefore the commissioners did not have the right to access his emails without a warrant. Why the commission may have tried to access Evans’ email is not completely understood, Burns said, since he retired more than a year prior to Edwards’ termination. As such, he did not want to speak to those specific allegations. Sources close to the investigation said the Attorney General’s Office is also investigating what role then Human Resource Director Leslie Bishop may have played in the alleged email scandal. “My understanding is that she didn’t want anything to do with it and told the commissioners she was not going to do anything to help them,” Burns said. Bishop recently resigned from her position with the county and has not publicly given a reason for her resignation. However, county sources say her resignation came just weeks after she was initially contacted by state investigators. Attempts by Cedar City News to locate Bishop for comment were unsuccessful. In a recent conversation with Cedar City News, Brinkerhoff said the commission would not be commenting on the investigation. However, in earlier discussions he adamantly denied the allegations. Cedar City News also reached out to Miller, who has since relocated to Alaska. While the former commissioner responded to our calls, he said he did not want to publicly comment on an open investigation. Likewise, Adams also spoke with Cedar City News but said he did not want to comment on this specific issue. Attempts by Cedar City News to contact Garrett have gone unanswered. Brinkerhoff, Adams and Garrett have reportedly retained Salt Lake-based attorney Blake Hamilton to represent them in the matter. Hamilton has not returned multiple calls from Cedar City News for comment. Interim Commissioner Casey Anderson, who is not part of the investigation, said it is common for elected leaders to hire counsel during investigations such as this one. The Iron County Republican Central Committee elected Anderson in April to fill his current position as commissioner following Miller’s resignation in March. Anderson will continue to serve until January when the newly elected commissioner will take his seat. Investigators for the Attorney General’s Office have said they will not comment pending an open investigation. However, Communications Director Daniel Burton said once the investigation is closed, the findings would be publicly released. August 2012 – Former Ambulance Director Ron Johnson retires amid allegations of sexual harassment and misuse of public monies. November 2012 – The county commissioners vote to put the ambulance department under the management of the sheriff. Jody Edwards is promoted to Lieutenant and is made supervisor over the ambulance service. November 2012 – Sheriff Mark Gower inherits the department with a $1.8 million debt, old trucks that he said were not maintained, failing inspections, and various other issues he said, including, low employee morale and internal problems with employees allegedly having inappropriate relations. April 2014 – Edwards writes letter to commissioners with Sheriff Mark Gower’s blessing telling the commission they “care more about slaughtering wild horses than they do about the safety of their constituents.” The letter came during a time when the commission was embroiled in a fight with the federal government over the issue of wild horses on the range. Gower said it followed a refusal by the commissioners to buy a new ambulance truck after Edwards and the sheriff had made several bids asking them to replace at least one of the old trucks as it had broken down on the way to emergency calls. May 2014 – Edwards said he received information from an employee at the State Emergency Medical Service telling him the County Attorney’s Office was inquiring how the county could dissolve the ambulance service. September 2014 – The commissioners publicize a Request for Proposal for private ambulance companies to make a proposed bid to buy the emergency service. September 2014 – February 2015 – The commissioners and local area mayors debate the privatization of the ambulance service. The mayors, Gower, Edwards and Lt. Del Schlosser publicly oppose the sale of the service. Ambulance employees fight the commissioners selling the service. Commissioners take issue with the ongoing discussion and point to Edwards and Gower as part of the reason for the problems surrounding the department including the increasing debt they said grew another $1 million while under the management of the sheriff’s office. February 2015 – Commissioners propose the cities to financially help with the costs of the service or let them sell it. 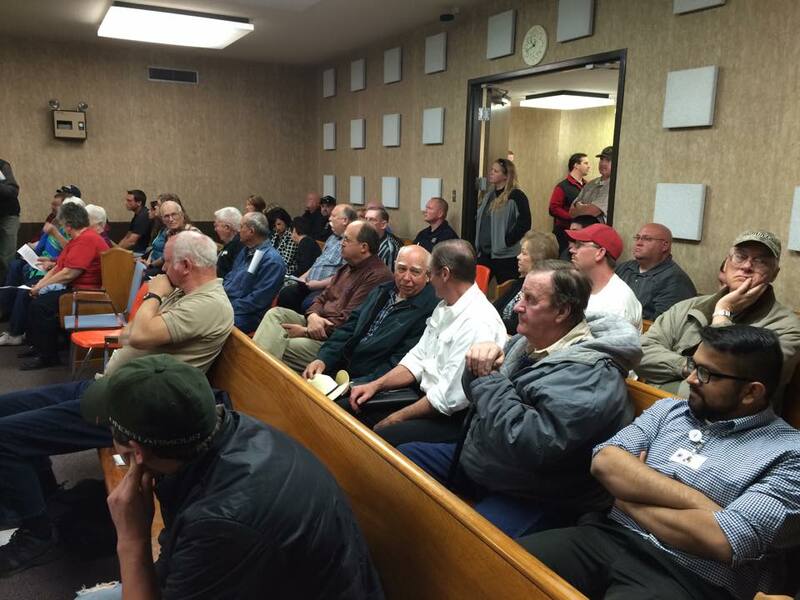 The surrounding city councils vote no on putting up money for the ambulance service. Mayors concede to the commission, giving them the go ahead to sell the service. March 2015 – Commissioners vote to sell the service and as such approve a Reduction in Force to lay off 70 ambulance employees including Edwards, who supervised the ambulance department. 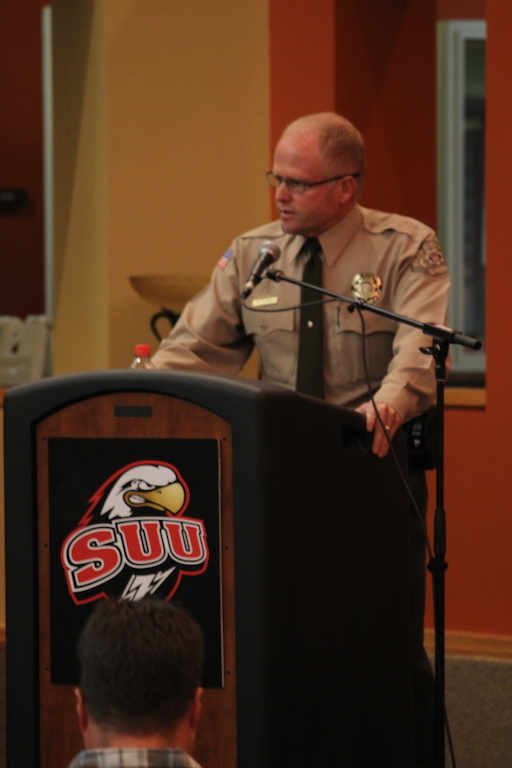 May 2015 – Edwards leaves the sheriff’s office after nearly 23 years of service. 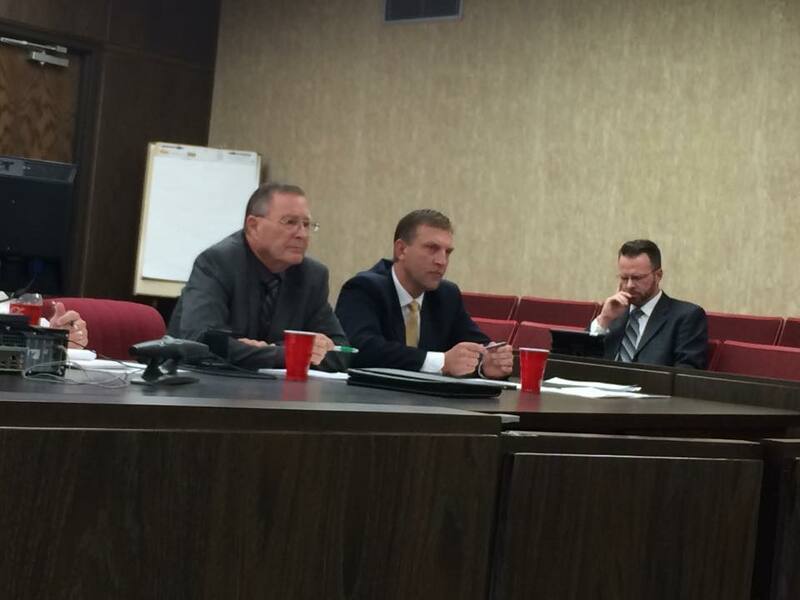 May 2015 – Edwards files wrongful termination paperwork for hearing in front of the Iron County Career Service Council arguing he was not an employee of the ambulance department but a sheriff’s deputy and as such only the sheriff, not the commission, could terminate him. He requested the council reinstate him at the salary he was making and that he receive any back pay and benefits owed to him. July 2015 – Edwards has hearing in front of the service council and wins his case. July 2015 – The Commissioners and the County Attorney choose to appeal the council’s ruling argue their appeal stays the council’s ruling to reinstate Edwards. July 2015 – Commissioner Dale Brinkerhoff under the approval and authority of County Attorney Scott Garrett allegedly makes request for email accounts belonging to sheriff and lieutenants. September 2015 – Commissioners and County Attorney’s Office requests the state Attorney General’s Office investigate Edwards for allegedly misusing monies while supervising the ambulance service. October 2015 – Iron County Sheriff’s Office employees unionize, citing job security and a lack of trust for the commissioners and county attorney as the reasons, employees point to Edwards’ case as justification for the move stating they no longer feel secure in coming to work. November 2015 – Judge orders the commission to reinstate Edwards and pay him his back pay as ordered by the council until the court proceedings are finished. November 2015 – The county dismisses their appeal. December 2015 – Attorney General releases findings on Edwards’ case stating the investigation found nothing that would warrant a need for prosecution. December 2015 – Gower learns of the request by the commission to access his emails. January 2016 – Gower, after consulting with his attorney Scott Burns, reports the allegations to the state Attorney General’s Office. Note: Cedar City News | CedarCityUtah.com is a counterpart to St. George News | StGeorgeNews.com. The good old boys are finally getting called out for their corruption. They should be prosecuted to the full extent of the law. No plea bargains, no misdemeanors, just lock the creeps up. These commissioners have violated ethics, have ignored human needs, while at the same time promoting their desire for the wild, wild, west. There should be concerned citizens protesting these commissioner/God wannabes at every public hearing. No, the correct answer is that they should use the Hillary Defense, claim ignorance, take their stern talking-to like an adult, then have no charges filed. They obviously didn’t mean to do it, and if they did they’re sorry. Ok what did Hillary do now ? If I was to be accused of a third degree felony I would be sitting in a correctional institution waiting to prove my innocence, why such an injustice to the public? A felony is a felony no matter who commits it! Equality needs to be demanded!